For an impromptu Saturday evening wine dinner, we hosted Dr Dan and Linda to grilled steaks, scalloped potatoes and grilled vegetables. Before dinner we had a selection of artisan cheeses with honey roasted walnuts. After dinner we had Linda's homemade dark chocolate mousse cake with fresh cream and berries. 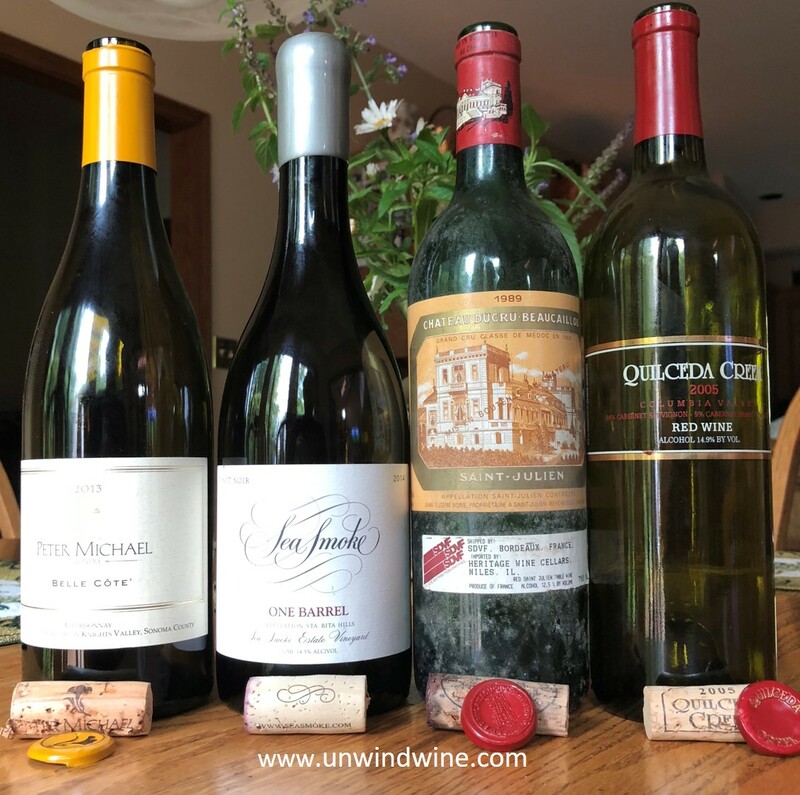 Dan brought a couple of fabulous ultra-premium bottles from Peter Michael and SeaSmoke and I pulled from the cellar two favorite bottles to round out a spectacular wine flight, Ducru Beaucaillou and Quilceda Creek Columbia Valley red wine Bordeaux varietal blend. 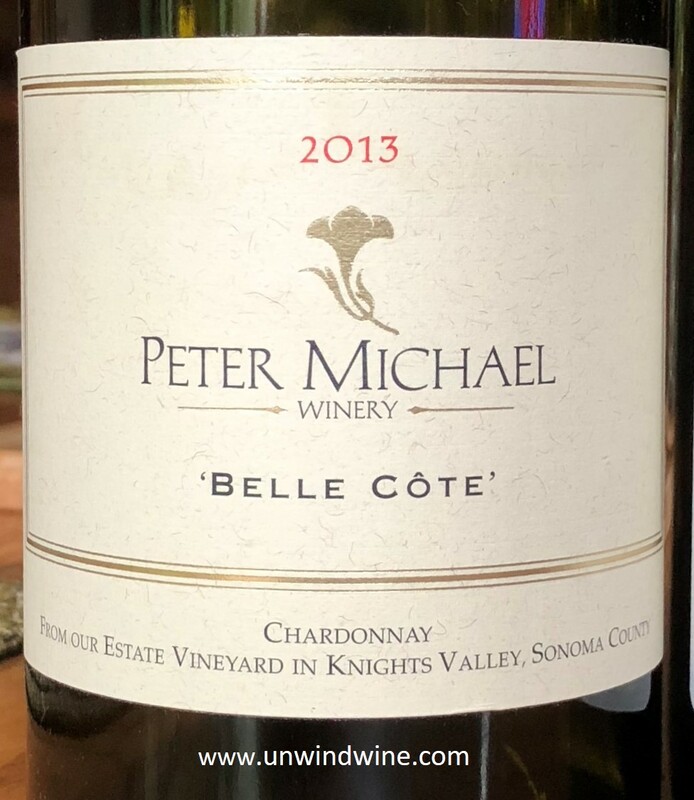 Before dinner, with a selection of artisan cheeses we tasted this exquisite limited release ultra premium Peter Michael Sonoma County Chardonnay. Butter colored, medium-full bodied, silky smooth, elegant and polished. 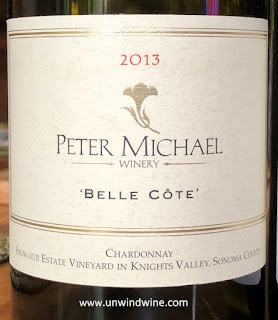 With his rich history and roots back in Berkshire, England, where I worked for thirteen years, I regret I never connected with Peter Michael and his California wine activities. Robert Parker gave this release 99 points and said it is 'flirting with perfection'. Parker writes of this wine showing "almost stony liqueur of rocks, lemon butter, and white peach', and describes it as a 'full-bodied, intense wine with loads of tangerine oil, pineapple jam and that wet stone minerality .... extremely massive, rich, super-concentrated". James Suckling gave this wine 94 points saying, "This is very open and fruit driven with papaya, mango, and hints of nuts. Lychee too. Full-bodied, fresh and flavorful.... Persistent finish. Lovely purity". James Laube of Wine Spectator gave it 93 points and cites it "Oozing with complex flavors of honeydew, toasty oak, fig, apricot and tangerine, this is enlivened by snappy acidity and ends with a long, expansive flavor". Transitioning from the pre-dinner course to dinner Dan brought and opened this Sea Smoke 'One Barrel' Pinot Noir. This is a select ultra-premium limited production label from this premier producer that has a cult-like following. This label is only released in years producing fruit worthy of the designated label. Most years, the winery chooses what they consider their best barrel of their estate-grown Pinot Noir and bottle it as the One Barrel label. 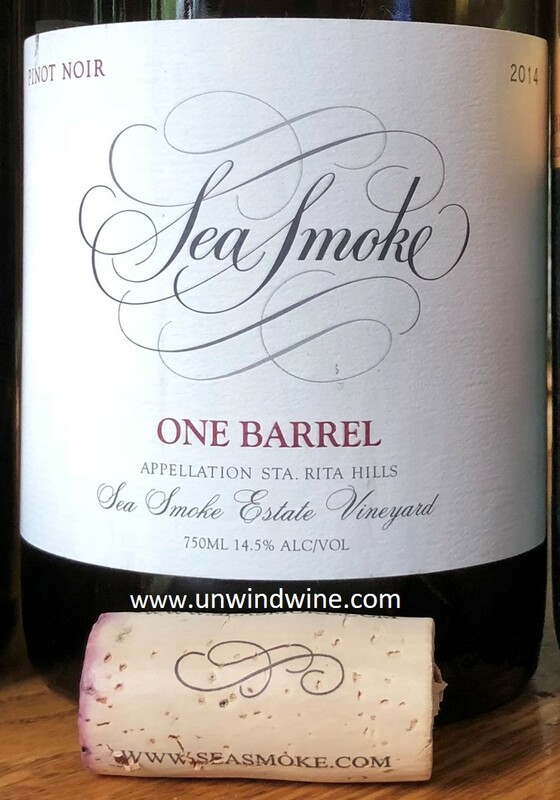 Sea Smoke produces a line up of ultra-premium estate wines from their vineyards in the Santa Rita Hills appellation at the western end of the Santa Ynez Valley in the California Central Coast wine region. The name Sea Smoke refers to the marine fog that wafts in from the Pacific Ocean that actually surrounds the area in three directions, to the west, south and southeast. The fog has a profound effect on Sea Smoke wines as the vineyards benefit from the cooling influences of this marine layer from the Pacific Ocean which is about 16 miles away. The AVA's (appellation) coastal valleys, formed by the Purisima Hills to their north and the Santa Rosa Hills to their south, funnel the cool Pacific breezes up through the vineyards. This ventilation helps to maintain healthy vines by reducing the incidence of fungal infections, while also cooling the vines down in the hot afternoon sunshine. With a latitude of 34 degrees north, Sta. Rita Hills lies closer to the equator than any European wine region, but, rather than seeing an increase in temperature as a result, the region's strong maritime influences keep daytime temperatures within bearable limits. The fog also acts as a climatic moderator, lowering the temperatures during the hot summer months. The combined effects of the ocean breezes and fog significantly extend Sta. Rita Hills's growing season, giving its grapes extra time to develop full ripeness. From the winery: "Each year we select the best barrel of our estate-grown Pinot Noir; every bottle of ‘One Barrel’ produced is from that single, special barrel. It is a unique combination of vintage, vineyard location, Pinot Noir clone and barrel cooper —never to be repeated. Two hundred and eighty prized bottles, from One Barrel." I am not a huge fan of Pinot Noir and am less discriminating in this type of wine. Never-the-less this was garnet colored, medium bodied, polished and silky smooth, complex with harmonious flavors of dark berry, cranberry, dusty rose and hints of strawberry with mild smooth silky tannins on the finish. 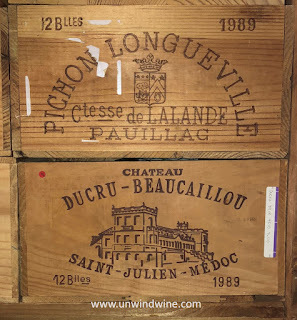 This has been one of my favorite Bordeaux wines going back to the early eighties when I collected this label in large format bottles for son Ryan's 1982 birth year that we eventually served at his wedding. 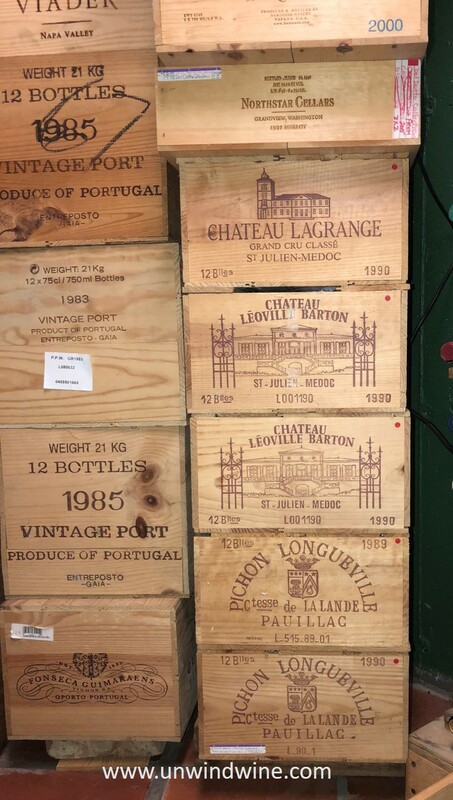 As such, we collected a vertical collection of this label for all the kids' birth years and still hold more than a dozen vintages of this label dating back to those early eighties releases. Tonight, this bottle was from a original wood case (OWC) that I acquired upon release around 1991-92. 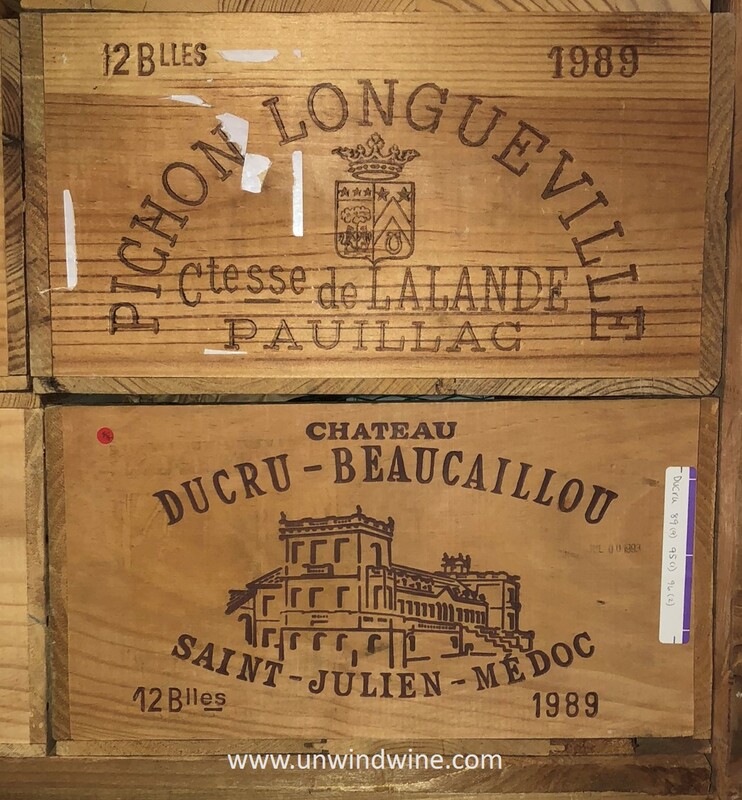 Back then, we could carry wine as carry on luggage on the airplane and I remember many times carrying a case of wine on board back from San Francisco during the many years I commuted there to Silicon Valley for work. As a long time friend and 'Pour Boy' wine buddy, Dan has grown accustomed to this wine too and hence I serve it often when we're together for occasions such as this. medium-light delicate body; floral perfume, black cherry and berry fruits with layers of anise, tobacco and black tea and a hint of leather, with floral continuing on a modest tannin finish. Tasting alongside the 2009, an interesting comparison to the 2009, very different profile between the two vintages, but showing some signs of similarity in the terroir character of the label." I've been saving many of my 1989 vintage wines for fellow Pour Boy and wine buddy Bill C and his son Matt for his birth year. Note Bill, there are six more of these left from this vintage OWC (and an full, still unopened OWC of Pichon Lalande 1989! - there's a party there!). 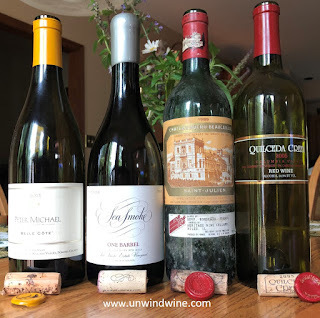 Trolling the cellar for another bottle for after dinner sipping and to accompany Linda's dark chocolate mousse cake with fresh berries and whipped cream, Dan and I selected this Quilceda Creek Columbia Valley Red (Bordeaux varietal blend). Dan had never had Quilceda Creek so this was a special treat to bring together and introduce one of our favorite wines to wine 'brother' Dr Dan! My last review of this dozen year old vintage was back in 2011 when I wrote: "Deep, dark purple color - medium-full bodied - complex, soft polished bouquet and tastes of ripe black and red berry fruits, a soft layer of mocha and vanilla with a smooth moderate tannin finish. Nice easy drinking wine when the call is for a sophisticated red during the hot weather. Nice complement to grilled tenderloin and roasted potatoes - and to the chocolate berry desert. The soft smooth character of this wine seems to be contrary to the the blend of 84% Cabernet Sauvignon, 9% Cabernet Franc, 7% Merlot. This wine is consistently enjoyable." Tonight this tasting of this label was consistent with that experience and was a perfect selection for the occasion. I marveled at how good this wine was and thoroughly enjoyed it as one of the highlights of the evening, large accolades, indeed, against such a exquisite line up of extraordinary wines! 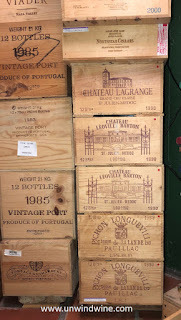 Collection of birth year wines held in OWC - original wood cases, from release, shown below.